Why Get My Shutters & Doors Serviced? Roller shutters and doors are susceptible to wear and tear, just like any other mechanical component. 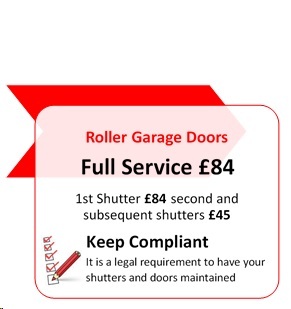 If a set of roller shutters aren’t maintained properly, you are more likely to experience a failure or fault which requires the attention of a roller shutter repair specialist to replace worn out parts as required. The frequency of your shutters maintenance requirements will be based upon their usage profile so call us for more information and we’ll be able to advise based upon your unique circumstances. It is a legal requirement to satisfactorily maintain all shutters and doors which are located on a commercial premise, ensuring that they are safe to use and don’t pose a hazard to health. Failure to do so could see you levied with a fine in addition to more serious legal action in the event that any doors on your premises fail the “Safety in Use” legal requirements. To reduce the likelihood of experiencing unforeseen breakdowns as well as a variety of problems, we recommend booking a service which will provide your shutters and doors with the maintenance they require. What about Timber Fire Doors? We should never forget that fire doors are potentially lifesaving products, and must be serviced and to ensure that these doors are fully compliant with supporting test evidence. Maintaining these doors is also a legal requirement, Regular servicing must be carried out to Timber & Metal Doorsets to keep compliant.